You Need Each Other. Every game "department" is needed for the survival of our store and for us to continue to offer services such as play space. As much as groups like to throw scorn on each other, all of them are needed for us to do what we do. What we would like to see is a little more mutual respect, even if it's grudging respect. Myself and my staff need a little more of this too. The Customer is Always Right. Our goal is superior, exquisite customer satisfaction. If you think we've slipped, let us know. Sometimes we screw up or let standards slide if we're stressed or extremely busy. It happens. Call us on it. Remind us we're not being exquisite. Sometimes we have to say no for various reasons, but it should be a consistent no, rather than an "I'm busy, buzz off" kind of no. The Caveat (No Customer is Indispensable). The caveat to the customer is always right is that no customer is indispensable. Rarely, we'll need to "fire" a customer when they become overly demanding out of a sense of self-importance. This is extremely rare, but it happens. Our number one customer bought a little less than 1% of our total sales this year, a tremendous number, but by no means critical for our survival. At the same time, it means we can generally treat customers with an equal level of respect. No Game is Indispensable. I suppose that's something for manufacturers to understand. Although there are a couple companies that we would be foolish to cut off, there is not a single game that can make or break us. That's something to remember if we don't seem to be providing the full support you think we should. Sometimes it doesn't make sense for us. If you're a store owner with a make or break product line, I'll tell you now I think it's a weakness. Nobody is Getting Rich. Well, that's not entirely true. The shareholders of UPS and our property owner are probably getting rich off us, but we're certainly not. At the end of the day, we do this out of an irrational love of the hobby. Anybody successful in the game trade is fully capable of generating great wealth doing something else. Holiday sales have been strong for us this year, with a 15% increase from last December to date. Similar stories have been reported across the country, with talk of holiday sales returning to normal. I think that's an incomplete analysis, however. Sales for us are higher, but the shopping patterns are far different than in the past. What we see are more shoppers spending money with us, but they're far more discerning than in previous years. Remember that "flight to quality" discussion when it came to role-playing games? It went mainstream. The best example of this is with board game sales. In the past, customers tended to buy several games, usually what I would call a "first tier" game, and maybe another that's off the beaten path. We had this interesting pattern of top tier games selling "X" quantities, second tier games selling half of X and tertiary games selling half of that number. It was a waterfall of sorts and we ordered stock this year accordingly. Since the October banking collapse last year, however, customers have learned recessionary shopping and changed their habits. But why not last year? Although we were still in a recession last December, the habits hadn't been developed. People either stopped shopping entirely, or shopped normally. So the new shopping pattern finds more customers buying board games, since they've become more popular (they're excellent values), but buying only "top tier" games. We have a huge spike in the sales of these games, while secondary and tertiary games don't sell at all. Not even a little. Huh. We've been thinking about this from various angles as well. Perhaps we're influencing the experiment? We've got much better staffing this season, with a dedicated person always available during busy periods to hand sell games, especially board games. This extra attention is of great benefit to the customer because we can direct them to appropriate games based on their criteria. Most people want to engage these games, but don't know where to start. We've wondered if informing the customer actually spikes sales. Well, I know they do, but the question is how much of a spike. The alternative is a customer freed up to buy what looks good based on the box description, or most likely, without assistance, nothing at all. We certainly don't think that's the best method, nor do we want to be dishonest and sell based on stock levels. Finally, I compared notes with other game retailers and several found similar patterns of "flight to quality." So I'm thinking it wasn't just us, but a fundamental change in mainstream retail that we're just experiencing now. Of course, mainstream stores have been suffering through it and gauging customers for a year now. In the long run, Despite very strong board game sales, I think what we'll be seeing is less selection at the store as our large board game inventory is pruned based on this "flight to quality." Some games can still rely on informed hobbyists with diverse tastes, but many others will need to go as that hobby market is saturated. It's just the new normal. 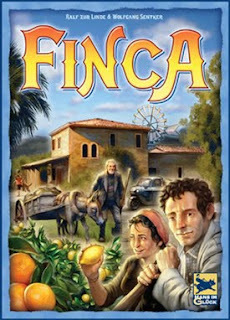 Finca's our best selling board game this season. It was a Spiel des Jahres runner up and featured game in the San Francisco Chronicle (we don't find SdJ winner Dominion "muggle' appropriate). It made many "geek" lists this year and is touted as one of this years best "gateway" or "bridge" games for new players. Grateful. This first stage finds us dealing with happy customers, grateful for our existence. They've got plenty of time and have chosen to support a local store with their purchase. They've done some research, but want to verify their newfound knowledge by talking with helpful staff. We often chat for long periods about the various merits of board games or how to start a Warhammer 40K army. It's how I wish the store operated all the time. Resentful. This is the stage in which customers are getting a bit desperate. They've missed the cheap or free shipping from online sources. They've either started shopping late, or have come down to the bottom of their list. The bottom is where they put us, and they would rather not talk to us at all, unless their frustration has lead them to a dead end. Often they want games that are long out of print, hot games that sold out in November, or crazy products that you can only find online or from custom websites. They didn't procrastinate as much as shopped for crazy uncle Joey, who pushes cardboard or paints lead, last. They generally want quick explanations, or perhaps quick picks from written lists. It's a bit stressful for staff. Desperate. Resentfulness turns to desperation as customers will not only treat staff poorly, but will tell us the saga they've gone through over the past week or so to get their product from some other source, not us. During the resentful stage, I begin hearing sob stories about Amazon screwing people over, or being out of stock on one of our best selling items. During the desperate phase, it becomes our fault, as if there's a brick and mortar conspiracy to make them pay full price by sucking up all the online inventory. They're unhappy we're not in a proper shopping place, like a mall. The desperate customers shut down product explanations quickly and don't want a lot of chit chat. Often they'll take a recommendation without an explanation, the only time of year this happens. It's probably good we don't have a lot of interaction, because their true colors tend to rub staff the wrong way. Now that's the reality of the situation. But how can you move people back up the through the stages? 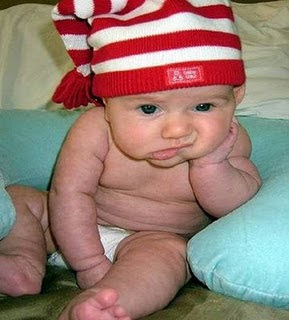 How do you make a desperate customer only a bit resentful, or a resentful one grateful? How do you get a grateful customer to rave to all their friends? I have a theory. It goes something like this: There is a certain inventory level of games after which point you have diminishing returns. There are only so many games in circulation, desired by a local community. After this point, you begin to see a decline in inventory movement, as the less desirable inventory sells less often, dragging down your average. Diminishing returns assumes there's a performance baseline, and for the sake of argument, we'll say it's a modest three turns of inventory. My magic number for when you have diminishing returns is about $200,000 of inventory (retail), which should develop about $600,000/year in sales, using those three turns as a guideline. This is the optimal store size, provided you have a large enough community to support it. Any bigger than this and your inventory is under performing. Any lower than this and you have room for expansion. If you have less than that amount of inventory, and most game stores do (probably less than half that), you can aspire to get more inventory and be comfortable knowing you have a future of strong sales. However, if you buy more than this magical point in space, you're bringing in under-performing inventory, and accepting that you'll have lower turns with a modest increase in sales. 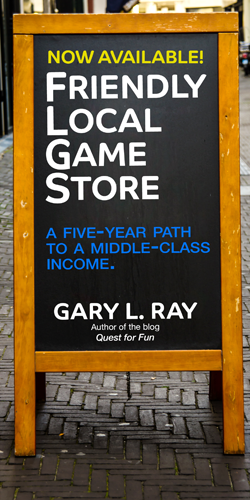 This concept is important because it sets an upper limit of efficiency on a game store. I'm not there yet, for sure, but it says that if you want to go beyond that magic number, you will be less efficient. The alternative is to buck the trend and turbo charge your turns, but that's another story. This efficiency formula puts an upper limit on game store performance, which is how one might go about considering a second store, or some other form of expansion. Every retail niche probably has this magical formula, the "good" inventory value based on the accepted average turns. To be fair, most stores don't have the population base to support these level of sales, and my guess is most open a second store because they tap out their population base, rather than their inventory dollars. *When my delusions wear off, I'll be using holiday funds to pay off expansion debt. The world of board games is exciting and dynamic, without a clear market leader. But is that really true? Read on. This chart accounts for the 800 titles in our store, but I think you can do some extrapolation to the game trade. I find this is the most interesting chart yet. We're not dealing with game systems here, we're dealing with individual games, judged on their own merits. Refreshing. A company like Z-Man Games can come out of nowhere and start pumping out big hits. Individual games like Blokus or Apples to Apples, can be a force to be reckoned with (most of the sales for Mattel). A company can survive on a single game or game franchise. Niche players can succeed, unlike with most other game segments. You might be tempted to divide the market thinner, in hopes of seeing a clear leader. It's what I suggested when I found that Nike had 11% of the shoe market, but 46% of the athletic shoe niche. Perhaps a Euro game and American style game chart would be more helpful. I know if I ran a board game company, I would attempt such division to get a grasp of my role in the marketplace. What can you see in the chart (besides tasty pie)? The "unassailable position" I talked about with Google, the iPod, and Microsoft Windows belongs to Magic: The Gathering in the game world. There is nothing quite like it, except for maybe Chessex dice. At least that's what I see with our own statistics. It's painful, and damn expensive for me, to watch company after company throw themselves against the CCG wall in vain. In the store, we have an entire sub-culture of CCG wall throwers who hope in vain to find the Next Game. I tried to add more data to see if I could show Magic as a leader, and not an unassailable winner, but nothing changed except the names at the bottom of the heap. Magic wins. This is why I was (eventually) happy to see the Living Card Game model from Fantasy Flight Games. Stop banging your head against the CCG wall, the Magic wall, and create good games, sensibly distributed. You don't get to swing for the fence in the LCG model, but that means you don't necessarily strike out when you lose. Road kill from a year ago for us includes: Chaotic, Dinosaur Kings, and the last six card games listed here. 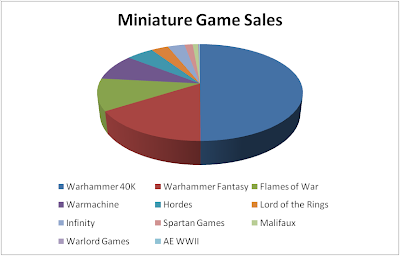 Miniature game sales for us are down about 4% from a year ago. Again, we have a mature market with Warhammer 40K the clear leader. I would like to say there's a renaissance of new miniature games, but these are mostly curious games that play at the margins. Malifaux is sure to be a big hit (on the margins) in the next year, but for us it will probably just replace Infinity or another game. We'll also be dropping Lord of the Rings, which saw a short lived rally when the War of the Ring book was released. Firestorm Armada will likely pick up steam, only to dislodge Uncharted Seas. I don't want to play down these great games as games, they're just not terribly relevant from a sales perspective. What we need here, are new miniature players, which seem hard to come by. New miniature players will be our focus for early 2010, as we implement a "little generals" league for kids. We'll be introducing them to the miniature gaming hobby through Warhammer 40K, and hopefully creating a time slot for them to play regularly. One of our failings as a game store is in the development of new gamers. The philosophy of "If you build it, they will come," is pretty good for a new store, but I think store owners needs to quickly find ways to engage the community. The RPG market place is changing, transitioning from a print based model and trying to survive with a dwindling customer base. Print books are easy to steal, with the perception that role-playing book piracy is rampant. Selling print books is also hit and miss because of the nature of traditional role-playing games. With three to five players for every game master, player books, on the surface, sell three to five times better, making game master books less profitable. What actually happens is more complex, as there's often one guy who buys most of the books while the group borrows them. That guy is often the game master, the person with the most invested in the game. Trying to appeal to both markets in one supplemental book just makes for a bad book, so what to do? 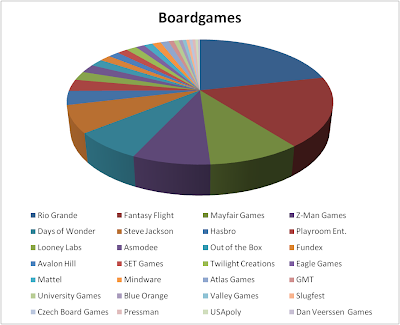 Fantasy Flight Games has taken good games with broken distribution models and made them successful. 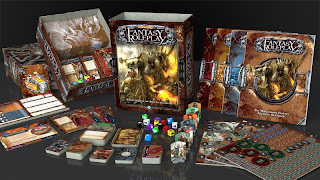 They created the "living card game" or LCG, for The Game of Thrones, Call of Cthulhu and, created from the ground up to be an LCG, Warhammer Invasion. The CCG model only serves a few market leaders, while other companies attempt to eek out a living and not lose their shirt. The RPG industry, some would say, is broken. It serves a handful of top tier publishers, while everyone else has to keep their day job. It struggles with relevancy, competition from a compelling online RPG experience, theft of intellectual property and the inability to attract their target audience. Warhammer Fantasy Roleplay 3rd edition, I think, is an attempt at a living role-playing game (LRPG). Gone are the book purchases that appeal to a segment of a tiny segment. Instead we have card packs, tokens and even special dice that aren't easily replicated, yet are very easy to expand the rules of the game. Much of the content of the cards in WFRP could have been placed in a rulebook instead, but that wasn't the intention. Easy expansion means easy rules changes and, most likely, more favorable sales. Want more spells or powers, forget books, sell a small pack of cards that every group will buy. The premise, I think, is that there is always going to be that one guy who buys the stuff. The enigma of the starter box supports this. It's a box that has limited value for a player, but the players need it to play. At $100, it's unlikely more than one person in a group will buy it. It's aimed at that one guy. This is like the trade-off with the LCG model. In the LCG model, your sales will be far lower than a CCG model, but the publishing risks are far less and the efficiency in the system is much higher for retailers and distributors. FFG is accepting that the one guy will drive the sales of this game, and everyone else is not their target audience, except in driving that one guy to make the purchase. The other method of creating a living role-playing game is the Wizards of the Coast way. You create quality online tools that are essential to play, that may even come very close to replacing the book model entirely. It's a fine line, as game publishers desire a print channel, so you don't want to eliminate brick and mortar (or even online) sales entirely, at least until electronic commerce is at parity with brick and mortar. The online model also seems to capture a lot of players, but again, there seems to be a lot of groups with one guy using the online service for the group. The goal here in both models is to have a steady stream of income, with less volatile sales patterns. Cash flow is king, and the living role-playing game should provide steady cash. The down side is that only big companies can play this game. It takes a lot of resources to print cards and card stock efficiently, which is why we have a more mature market in board games rather than the free for all, kitchen table publishers in the RPG trade. The same is true with online tools, which require infrastructure and expertise that are out of reach of even the second tier RPG publishers. For another day, the methods and reasons for publishers to kill off what has gone before. Why do they need to destroy, contractually limit or otherwise impede previous versions of their game? Is the player base that small? The almost irrational fear of piracy seems to indicate that. Is there no way for these games to live together? Can you force a customer to move on to a new version of an entertainment product? Not shown on my RPG chart of last week were sales of 2nd and 3rd edition used RPG products in our store. Each of these easily outsells second tier publishers. 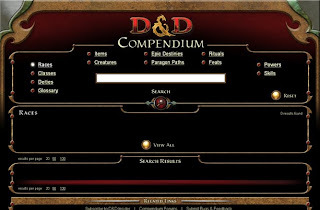 D&D Compendium. 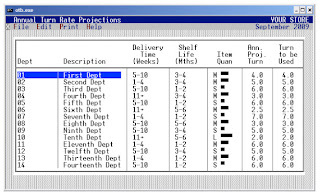 Search online for just about anything in print. November sales were shockingly good for us, 34% higher than last year. 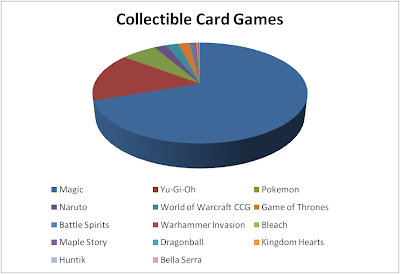 This was lead by collectible card games, board games and role-playing games. Those are the kinds of numbers you expect in year two of a store, not year six. Talking with other retailers, they also saw a big increase. The reason is clear if you experienced the economic free fall of 2008. Last year, the nation had just witnessed the collapse of our financial system. Everyone was holding their breath in November, staying home under the covers. A 34% increase from near Armageddon level sales isn't a lot to crow about. Still, we're up about 12% from 2008, showing that perhaps game stores are counter-cyclical after all. Just don't expect to reap the rewards during boom times. I'll replace my "think inside the box" slogan with "slow and steady wins the race." If the recession is over, small business survivors have hopefully learned some lessons from it. I've learned when to expand my business and when to hunker down. I've learned how to tighten my belt, while still investing in what's important, like staff. I've learned the value of money, and the danger of relying on banks and creditors, who don't understand the ebbs and flows of my business. Cash is king, as cheap credit will be hard to come by for some time. That bodes ill for an economy that's powered by small business. I'm not sure how small businesses will grow in the future. Like cholesterol, there's good debt and bad debt. Bad debt is an oppressive drag created out of desperation, like financing your groceries. Good debt is an investment in the future, like a home purchase or student loans. Our business has cheap debt from our move and expansion that we're paying off, but any new debt, necessary for expansion, is far too expensive or non-existent. That means our business and many others, will need cash to expand, which is not how it's supposed to work. That will require a much longer period before we can grow; both the pay down (which is normal) and the saving up (which is not). This lack of credit is why you're hearing all the talk about a very slow economic recovery. 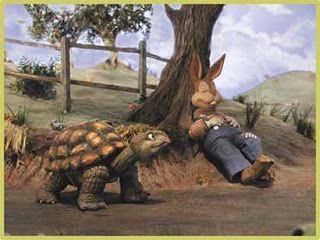 Slow and steady will have to win the race, at least until there's money to fuel the economic engine.